Reversible 1/2 HP universal motor. 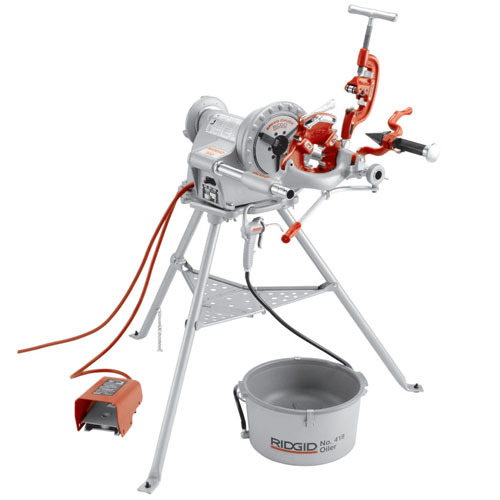 Ideal for use with RIDGID roll groovers. Heavy-duty proven performance: 1700W Motor. Lightweight, portable design at only 115-154 lbs (52-70 kg). Recessed Switch : Heavy-duty forward/off/reverse and integral foot switch. Chuck: Speed chuck with replaceable rocker-action jaws. Rear Centering Device: Cam-action turns with chuck.